Engimusing has launched a crowdfunding campaign on Kickstarter for their home automation solutions comprised of tiny modules (20x20mm) based on Silicon Labs Gecko EFM32 MCUs, some sensor modules and a server based on ODROID-C1 board and enclosure pre-installed and configured with openHAB open source home automation software. There are not that many technical details about the EFM32 modules, but they come into two variants: standalone & DF11-10 I/O, the latter allowing you to vertically stack multiple modules. This video shows how DF11-10 IO connectors work. The modules are said to be programmable with the Arduino IDE. The openHAB server is a standard ODROID-C1 board (Amlogic S805, 1GB RAM) with 4GB flash (eMMC or micro SD), and a black enclosure. 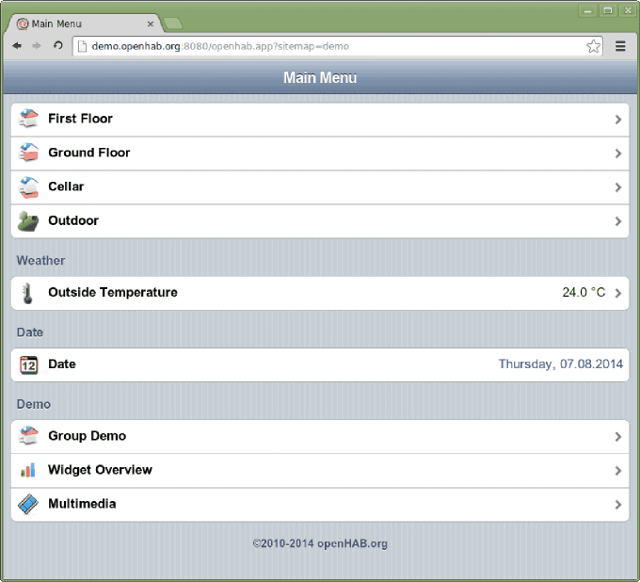 If you value your money more than your time, and/or already have another computer or board (Raspberry Pi, BeagleBone Black…) that runs Linux, you could also install and configure openHAB by yourself. 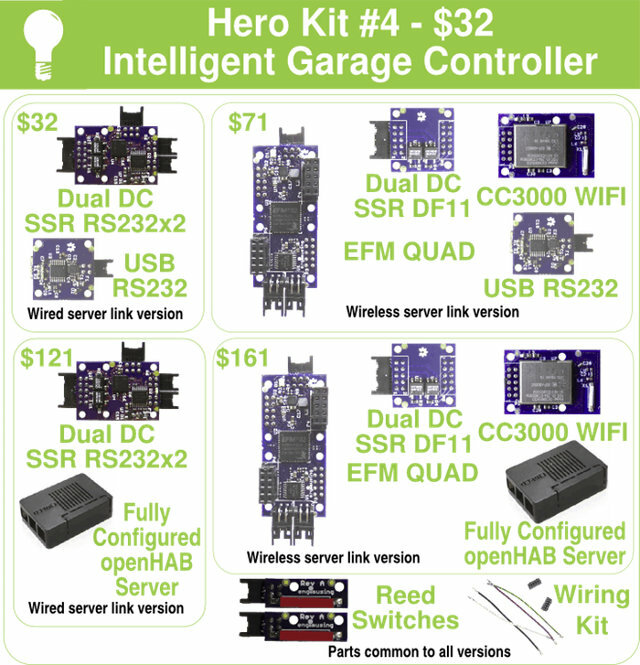 The company is trying to raise a lowly $5,000, and they have a wide variety of modules and kits to make your “home automation hero”, which I won’t be able to cover here, starting from a $1 reflective object sensor up to $317 for a fully configured wireless “designer kit” thermostat and garage opener. But the kits are basically for four main applications: garage doors, carbon monoxide (CO) detection, thermostat control, as well as an accelerometer kit to monitor your movements. Shipping is not included in the rewards, but you’ll be able to select your country when you pledge and see how much shipping costs. Delivery is scheduled for May 2015. You may also find more information on Engimusing website.